Author: Rabbi Nachman Yosef Vitriol Description: - An analysis of the famous letter penned by Reb Nosson's disciples containing a vivid description of the last days of Reb Nosson and his departure from this world. The author elaborates on each event in great detail to help us comprehend what took place at the time and explains many of the unconceivable statements made then . Contains excellent footnotes and references. 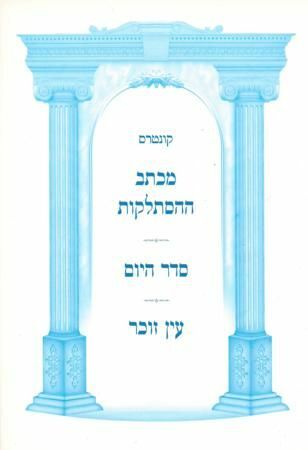 Also contains the famous "Seder Hayom" of a Breslover Chasid, plus" Ayin Zocher " written by Reb Yitzchak Breiter, one of the famous mashpiim in Poland. Publishing data: Brooklyn 2008 61pp SB 9" x 6" without nekudos.